The Grand Palace in Bangkok, Thailand is a complex of adjacent relics including Chitralada Palace, Wat Phra Kaew, Chakri Mahaprasad, the Outer Court, the Middle Court, including the Phra Maha Monthien Buildings, the Phra Maha Prasat Buildings and the Chakri Maha Prasat Buildings; the Inner Court and the Siwalai Gardens quarter. The Palace is a typical example of combining traditional Thai architecture with western style. Many Thais believe that those who visit the Temple of the Emerald Buddha of the Grand Palace will be blessed. The Grand Palace is one of the most popular tourist destinations in the world, an ancient large-scale architectural complex in the city center preserved through dynasties. International visitors praise it as “the great art of Thailand”. It is also home to the Thai military and state government and is home to major events. 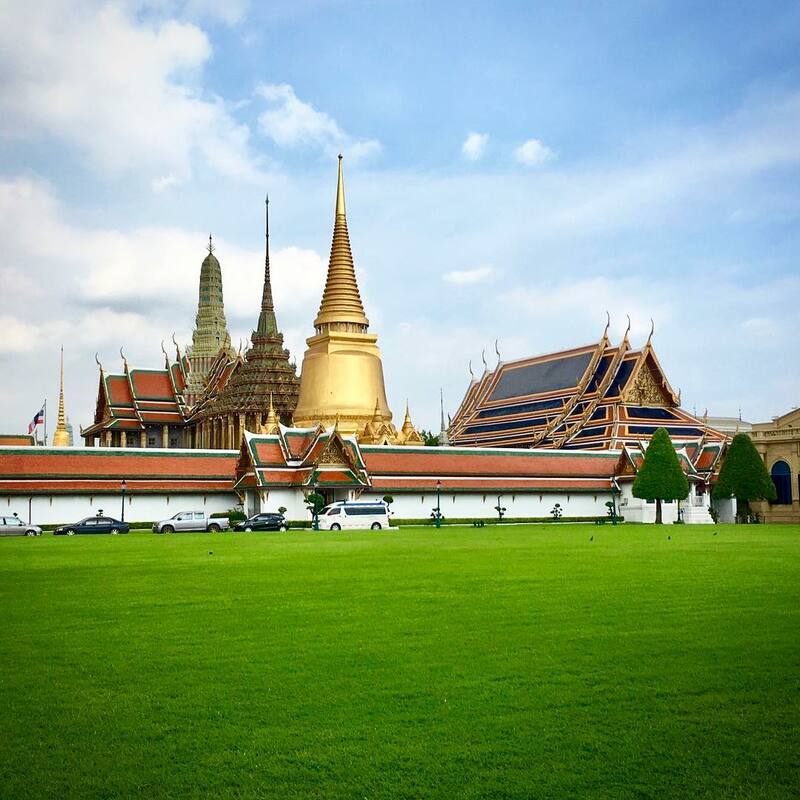 Today, the palace is the symbol of Bangkok and the Kingdom of Thailand. 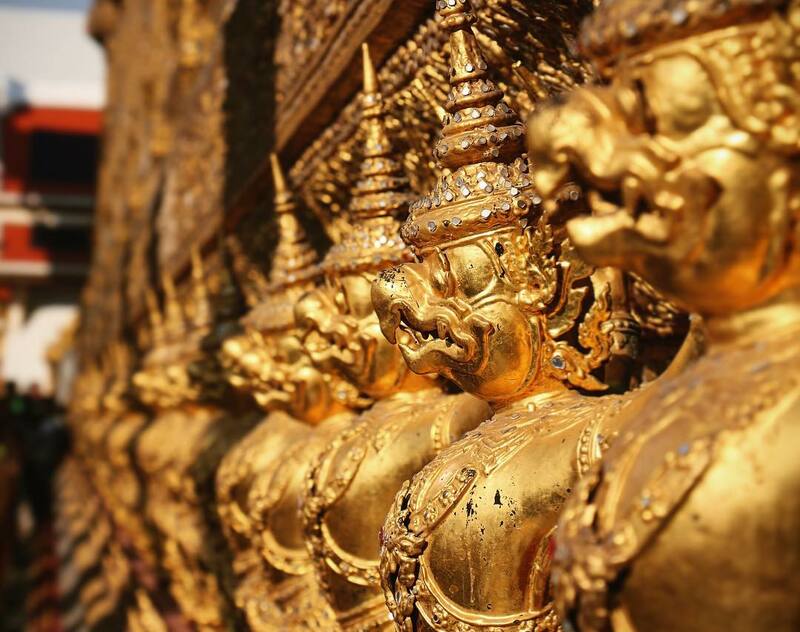 Explore amazing things to do in Bangkok with Inspitrip now! Grand Palace started to be built on May 6, 1782, under the direction of the founder of the Chakri Dynasty, Yodfa Chulaloke (Rama I). After seizing the crown of King Taksin of Thonburi, King Rama I had intended to build the new capital city for himself during the reign of Chakri when he moved the capital from Thonburi to Bangkok. The previous royal residence was the Derm Palace, built for King Taksin in 1768. Rama I considered Bangkok an easier place to defend against potential enemies than both Ayutthaya and Thonburi because the Burmese would have to cross the relatively wide Chao Phraya River. The new capital city was transformed into an artificial island when the canal was dug along the east. Rama I also had the Grand Palace and the temple of Wat Phra erected. The buildings were highly inspired by the architecture and constructions of Ayutthaya. The architectural complexes include the Grand Palace, The Temple of the Emerald Buddha and the Halls. The 14th century Temple of the Emerald Buddha has a very famous and precious jade Buddha statue. The royal staff dress the Jade Buddha statue in seasonal costumes according to the Thai king’s instructions and in ceremonial attire on important Buddhist days. The Thai king began to reside in other places in the early 20th century. However, the Palace remains an important place to hold the national events. It is located very close to the Siamese capital of Ayutthaya. The Outer Court – the former king’s workplace is near the entrance with others government agencies such as the reception room, the army, and the treasury. The Jade Buddha Temple is located in a corner of this outer area. The central area is where the king lives and the meeting hall to meet the domestic business. Only two of these areas are open to the public. Come here to visit, you will be impressed by the sophisticated architecture of magnificent palaces. Everything is shining- brilliantly golden! The Inner Court, situated at the most southern end of the complex. It is home to the royal family of the king’s wife and daughter. This area only has women and under-aged boys. Although this area is currently uninhabited it is still not open for the public to visit. Despite being built in an architectural complex, the Grand Palace and Wat Phra Kaew have two very distinct architectural styles. On one side is the typical Thai architecture at the Jade Buddha Temple, on the over is the European-inspired architecture at the Royal Palace (Only its roof is of Thai architecture). Other notable architectures are the Boromabiman, Amarinda and Justice Halls. Chakri Maha Prasat as impressive architecture, beautiful magnificence. Today, Thai royal uses it as a venue for important events in the country, such as the throne of the Thai king. Here there is an ancient throne, used by many kings until the throne began to favor European style. Guests are welcome to visit the European style reception hall. 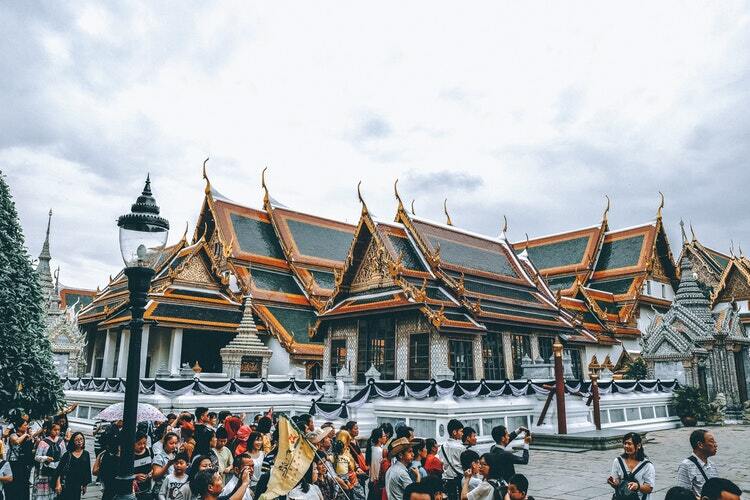 In addition, you can also visit the Dusit Hall, which is considered to be the most beautiful building and a museum to find out more information about the restoration of the Palace and Buddha statues here. 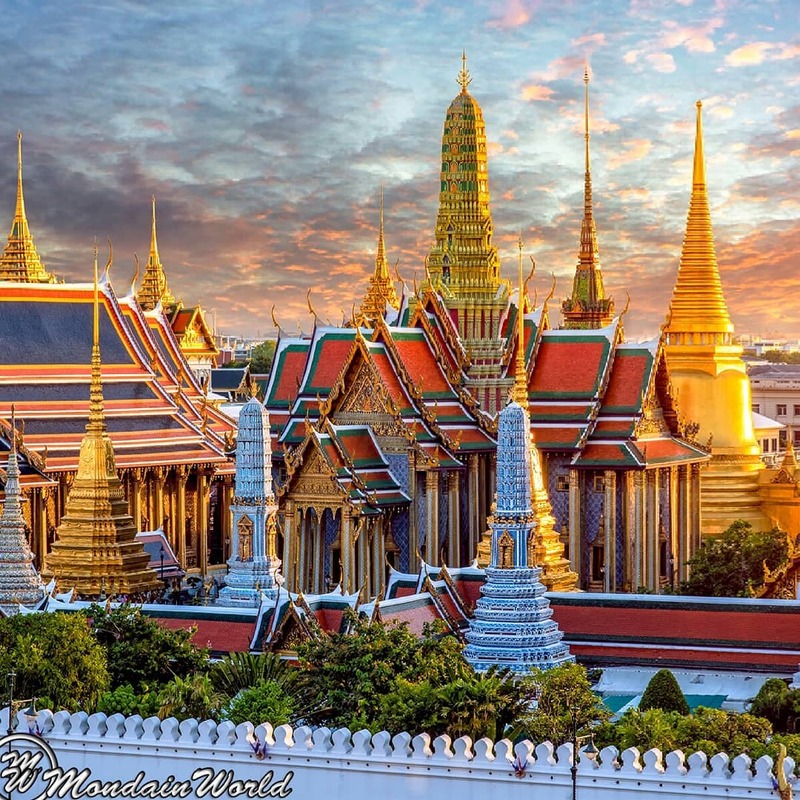 People consider the Temple of the Emerald Buddha in Bangkok the most sacred temple in Thailand. Wat Phra Kaew is located in the historic center of Bangkok (Phra Nakhon), surrounded on four sides by a series of walled cloisters, with seven different gates. The construction of this temple started when King Yodfa Chulaloke (Rama I) moved the capital from Thonburi to Bangkok in 1785. Wat Phra Kaew is located next to the Grand Palace and is of prime importance in the famous temples of Thailand. People address it as the royal temple with an area of 945,000m² including more than 100 high-rise buildings. As a matter of fact, Wat Phra Kaew does not have a monk’s residence area like other temples, and owns decorated buildings, holy sites and statues only. The Temple of the Emerald Buddha is not only famous for the beauty of many architectural styles, but also because of the most sacred jade Buddha statue in the kingdom. The Grand Palace and The Temple of the Emerald Buddha are the most sacred of Thailand, so you should absolutely not wear a skirt here. Travelers must wear proper clothing before visiting the temple. Men should wear long pants and a sleeved shirt. If you wear flip-flops or sandals, you must wear socks. It is not allowed to go barefoot in any form. Women also dress similar to casual style. Moreover, do not wear see-through shirts, blouses or low-cut clothing that let out bare shoulders. If you have the wrong clothes, there is a house near the entrance to rent clothes from the royal staff in accordance with the rules and deposit required. It is best to be dressed in a maxi dress/an ankle length trouser or skirt teamed with a t-shirt or cardigan for women and trousers with a t-shirt for men. Do not worry too much, if you go with a local guide, they will certainly help you to prepare your outfit. Entrance fees: Tickets are available from 8:30 to 15:30 pm and cost 500 baht. Each ticket allows the visitor to visit the Vimanmek Palace and the Dusit Abhisek Hall. To travel to the Grand Palace of Thailand, visitors can choose to go by train or by boat on the river. They’re two of Bangkok’s most popular and unique transportation. Visitors will wait about 20 minutes on the river Sathorn to see the beautiful city of Bangkok before arriving to the Palace. From your hotel, find the nearest train station and get tickets to Sapan Taksin station. At Sapan Taksin Station, you just need to go down the stairs to find the pier called Sathorn. Buy tickets (The price is 15 BTH) and take a boat about 20 minutes, you will easily see the Grand Palace. Alternatively, travelers can catch a bus numbered 01, 03, 09, 15, 25, 30, 32, 33, 39, 43, 44, 47, 53, 64, 80, 82, 91, 201, 203, 501, 503, 508, 512 to get here. Firstly, the famous temples in Bangkok are located quite close to each other. 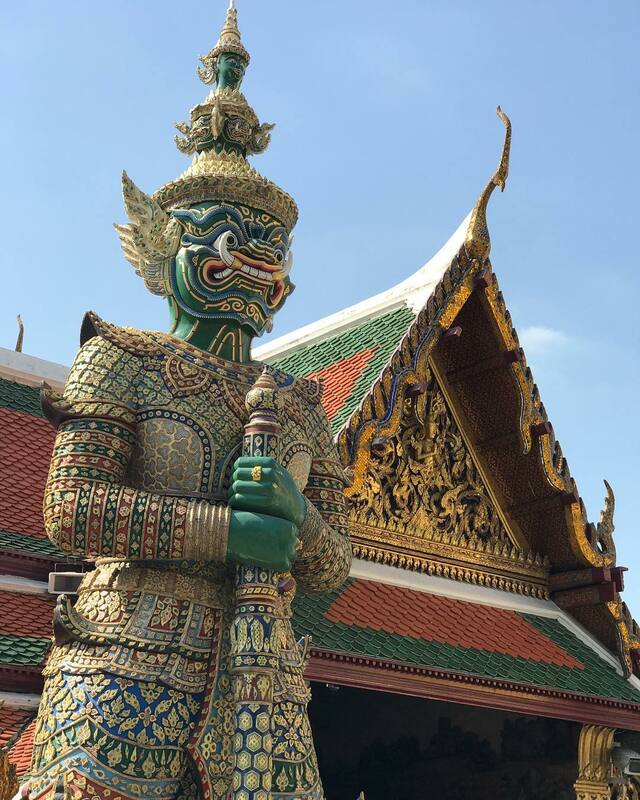 After visiting the Grand Palace, you can go to Wat Arun, Wat Pho, Wat Mahathat … The move is not difficult and most of the entrance fees of these temples are under 80 baht. Secondly, the opening hours of these religious sites usually last only between 5:00 pm and 5:30 pm, so you need to schedule your plan accordingly. After the visit, try to end your trip by walking around to explore Bangkok street food at night. The cuisine of Thailand is welcoming you! Last but not least, Bangkok is widely known for its charming beautify and rich Buddhist culture, but it has much more to offer as well. 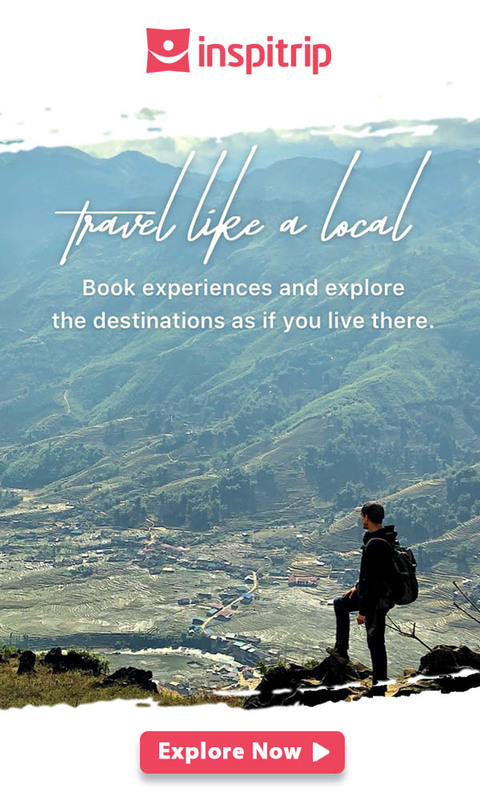 You can easily find bustling districts with trading centers, bars, club… You can enjoy the experience the peaceful lives of Thai people in the small valley… Take time to visit famous shopping malls then visit some traditional markets. For examples, let Dammnoen Saduak, the most popular floating market in Thailand offers you the soft atmosphere of a water market. You will see the multi-faced beautiful Thailand. 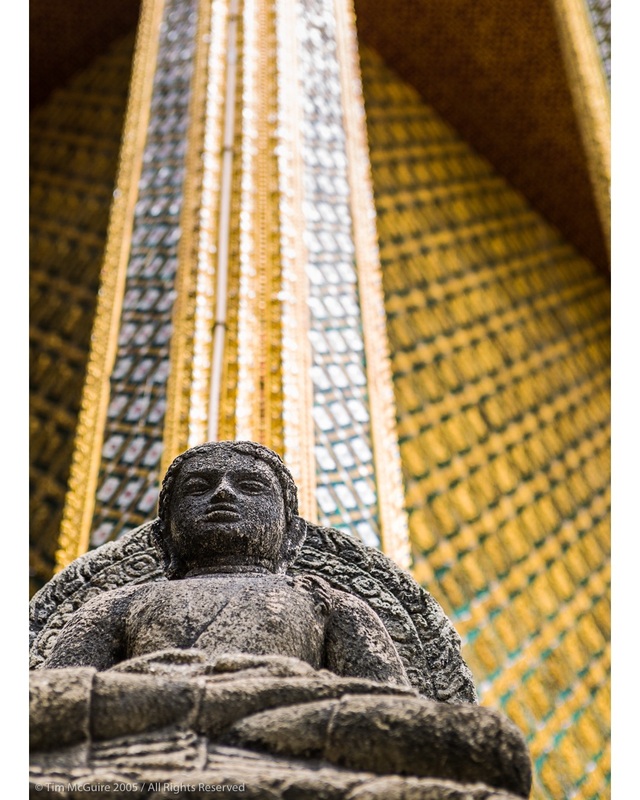 Check out Inspitrip’s article on what to do in Bangkok for 3 days. Can you please guide as to which exit to take while I am exiting Grand Palace so that I can reach Wat Pho quickly by walking ?? Any road direction will be appreciated as I will be travelling with my aged parents.